FliteControl wad opens from the rear for excellent patterns and longer ranges. FliteStopper steel pellets fill out pattern and cut on impact. Extra-high velocity aids in longer range capability. 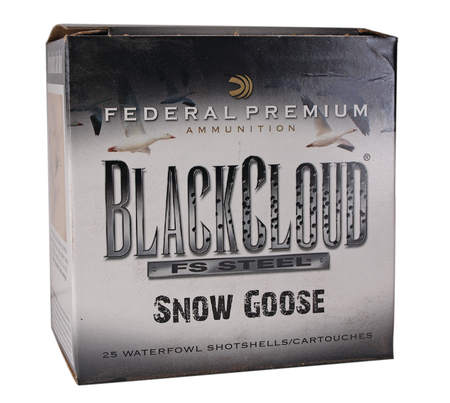 Designed specifically for demands of snow goose hunters. 25 rounds per box, 10 boxes per case.